Rare sewing machine - Sellers "Hand" machine. 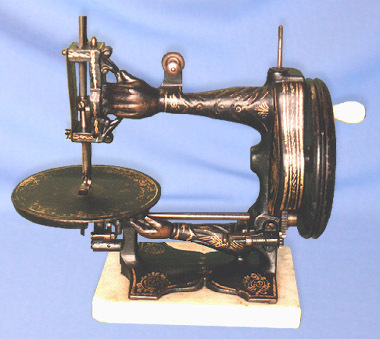 Manufactured by Sellers of Keighley, UK, this exquisite 19th Century one-of-a-kind machine remains something of an enigma. Apart from the identification of its maker, no other details have been unearthed to date.